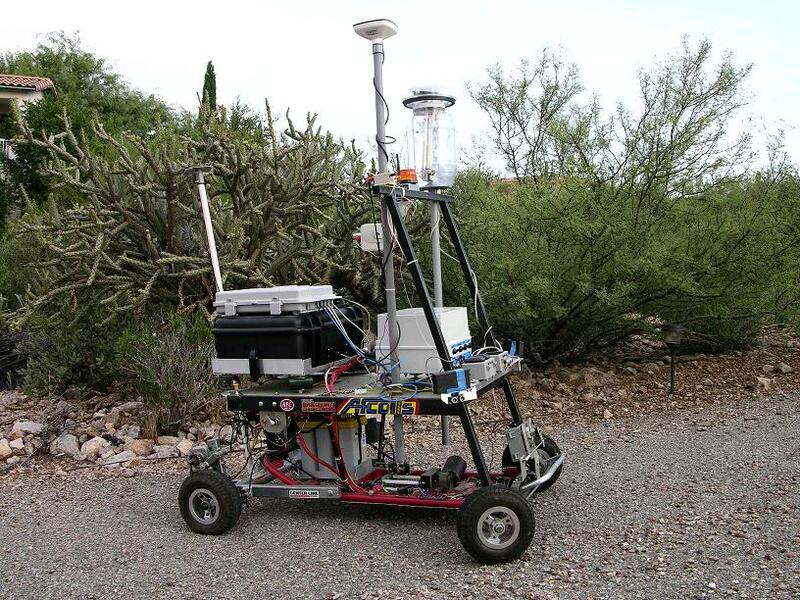 The Autonomous Vehicle Competition was such a fun time, we're going to give it another go! Checkout the video recap and the homepage post of last year's AVC. This year the competition will be held on a weekend! Bigger. Better. Faster! Spectators are encouraged to come check out the fun! It's a great spring day full of hackery, tours, and if we're lucky a robot or two in the lake. If you plan on coming to the AVC, please register! 1 Lap. Start line to be determined on race day. Shortest time wins. You get three attempts schedule throughout the day. Best time of the three laps will be used. Two classes: Ground / Air. Two $300 prizes: Goes to the fastest lap in each class. Be sure to chronicle your vehicle build! We'd love to feature your bot on our site as the race approaches. 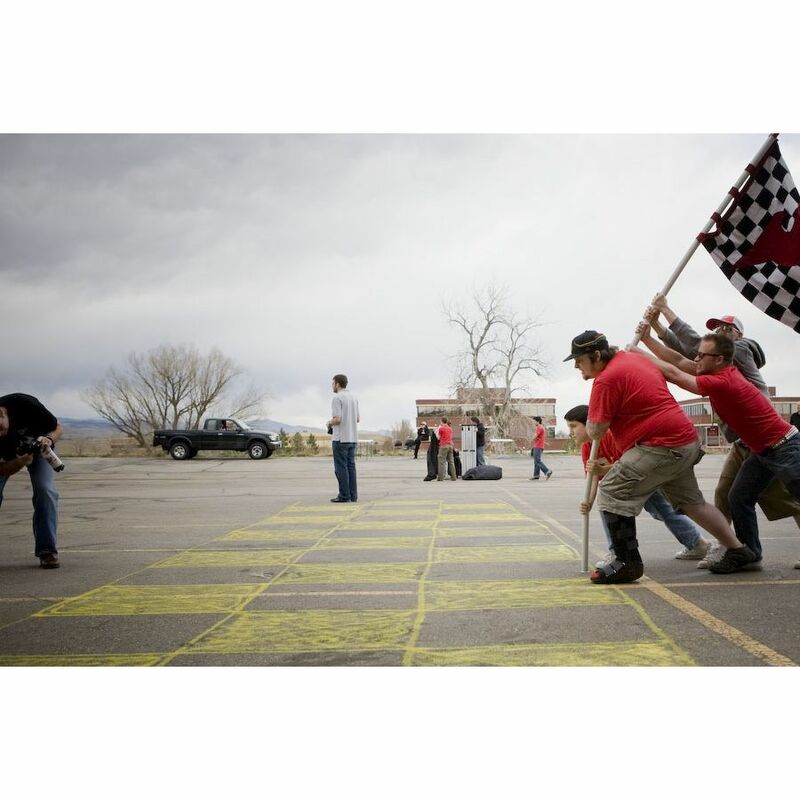 In-house SparkFun teams are not allowed to spend more than $300 on their vehicle, but the general public is simply encouraged to think 'lite'. You are welcome to find/re-use any parts you can find/get donated. No base stations allowed. All computation must be made from within the confines of the mobile platform (think DARPA). Bots start separately. No mass start. We plan on an exhibition lap with a mass start just to see how it goes. We know what it's like on demo day (nothing works), but bring whatever you've got! 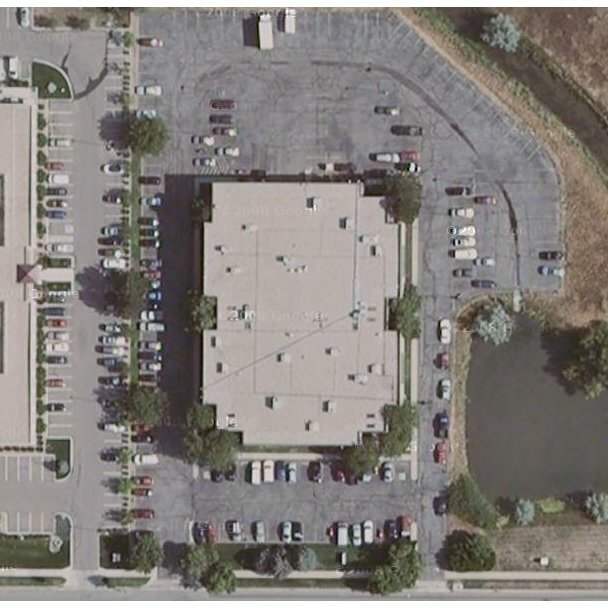 Definition: "around the building" - bot must go around the external four main walls of the SparkFun building. You pick the course and direction. Most teams will probably be on the black top (asphalt) but the choice is yours. We will not be moving (real) parked cars, dumpsters, or snow ramps, but we will be stopping parking lot traffic. Rules are subject to change on a whim. It's mostly like last year, with more sparklers. The SparkFun crew is pretty stoked. You are encouraged to form/create your own team. You are welcome to ask a SparkFun engineer anything you want - we're here to help. Kings to the guy who lives too far away to make it, FEDEX's his entry and wins anyway. Some kind of honorable mention might have to go to anyone whose car can just social-engineer FedEx into driving the box in a circle around the building. "20 in stock"? "Price $30"? Well now its "no stock". ;( I wish I could go! Is there anyway that a small group of two highschool students could maybe enter? Even if it is out of stock?? :) Ya - the "20 in stock" is just to let us know how many people/teams to expect. We figured it would just be us engineers standing outside in the middle of a good spring blizzard, but you never know! A quadrotor was used in the 2011 competition. You'll have to keep an eye out for the 2012 rules to see if you can enter a quad or heli for 2012, though. When are you guys going to expand and have a Seattle warehouse? Can one team have more than one robot? In future years - might you consider holding courses on the Thursday and/or Friday before the event? This would provide extra incentive for folks who live far away, and want to travel in to watch the competition. I realize the many people at Sparkfun are probably getting ready for the competition, but there has to be a few folks around who could teach the course. Just a thought, that might drive even higher spectator attendance. I bought a "ticket", but how do I show for it? Under order tracking I have it as "New Order" in terms of the status... is this correct? Didn't get a confirmation or anything (I bought it a while back). Hand-launch is allowed, but auto take-off and landing will earn you massive respect points. These points are about as valuable as "internet dollars". When does the clock start for your lap time? For the UAV (air class) in particular, I'm thinking when it crosses the start/finish line (like a lap in a car race) but I didn't want to design around that without checking first. Also, is there any height restriction on the course for a vehicle in the air, as long as it is outside the four walls of the SparkFun building? Nate, any limitations on practice runs (i.e. only the day of, or whenever's clever)? Hi! You might not have the last spot ;) We will be allowing people to backorder and then take the spot of any teams that drop. Practice runs the day of the event will be tricky as we will have a large crowd and a full roster. We will probably open up practice runs the day before (Friday). I think there were some people that showed up the weekend before for practice runs last year. Our teams went and scouted out the course a few weeks/months ahead of time last year. I understand w/r/t no computations being performed on a base station, but can we have a base station provide the initial start command and then solely receive debug info, or do we need a physical button on our robot? A remote/wireless start button is allowed. A remote kill switch is also encouraged. I May think about proposing the same competition in France next year ! I really wish this was on a weekend or some time I had off from school. So yeah for those of us in school you should have one of these on a weekend so I can fly in and make it back in time for class. On a side note this is Sweet! I so want to go just to watch and shoot the breeze with SparkFun employees. Now.. to figure out how much a round trip plane ticket from Minneapolis to Denver is.. I live just outside of Boulder and I was wondering if it I can just come watch the competition? Absolutely! Bring a few friends if you want! Thanks! Can't wait to check it out. That is indeed a pond - though you'd have to hope a curb and traverse some bushes/weeds to fall in! Uh oh, my robot is quite capable of both hopping a curb and mowing down a few bushes (or small trees!). Maybe I better program the IR heat sensor to also make it avoid (cold) water! And by "hope" I meant "hop." D'oh! Does anyone, Sparkfun employee or otherwise, have a video tour of the parking lot? Viliam, thanks for the GPS track, quite useful. If you are planning on riding around the building again, could you mount a video camera to the handlebars and film the route, perhaps in one or both directions? I am curious to see what surface can be expected on the course. In all cases, I am certain that a Mini Z would be a bit unsuitable for the race. You require pictures chronicling each day of the build? What if I have an existing vehicle I want to enter? Could I just post pics of any additional preparations from here on? Don't sweat it overmuch. Just chronicle it as much as possible. Yes, I believe that we'll have a video camera capturing the event, and we plan on posting the edited movie shortly thereafter. This is a GeoChron generated track of three laps around the SFE building on a bike. I tried to stay as close to the curb as i could but there was a car parked on the north side of the building so i had to avoid it. The yellow track represents where i was biking and the green track is the GPS position. Please note i did not have WAAS enabled. This should give an idea of what to expect from GPS. Villiam, the bubbleshare site is not showing ur stuff. can you plz post it somewhere else? "your bot/car/plane/heli has to drive itself." Can a dog be the "mechanical" part of it and the robot forces the dog to move around the building? kind of joking but kind of not...no human interaction..the dog is like a "car" and the robot navigates. I thought the forums might be better able to handle the 3+ months of dialogue we'll probably have on this subject, so I started a thread. I kicked it off with a photoset from my walking tour of the course. Looking forward to the competition!! 1. Can there be some sort of launcher for the start, as long as it too is autonomous. 2. Does the vehicle need to stop itself at the finish line. Nothing can be left behind on the track. If you have a launcher, it needs to be autonomously cleaned up by the vehicle. This hasn't been specified, so until someone makes a rule about it, I guess not? Why, are you working on a rocket-powered vehicle? What does the competition turn into if it moves inside? That's the part that worries me. The chances of it not only snowing, but snowing enough that we move it inside, on April 15 of this year when almost all of the snow is being deposited on the western slopes of the Rockies, is so low as to be negligible. I'm pretty sure we'll tough it out through anything but a full-on blizzard, outside. I wish i lived closer, i would love to enter the competition. Oh I'm so there. I was at the sparkfun building just a few days ago picking up parts for an autonomous bot I'm building. This is just too appropriate. Quadcopters will be the vehicles to beat. They make it sound like there will be snow, will your car have chains? style points only if you drift it! can our 1 vehicle be several different mini vehicles, unteathered to eachother?